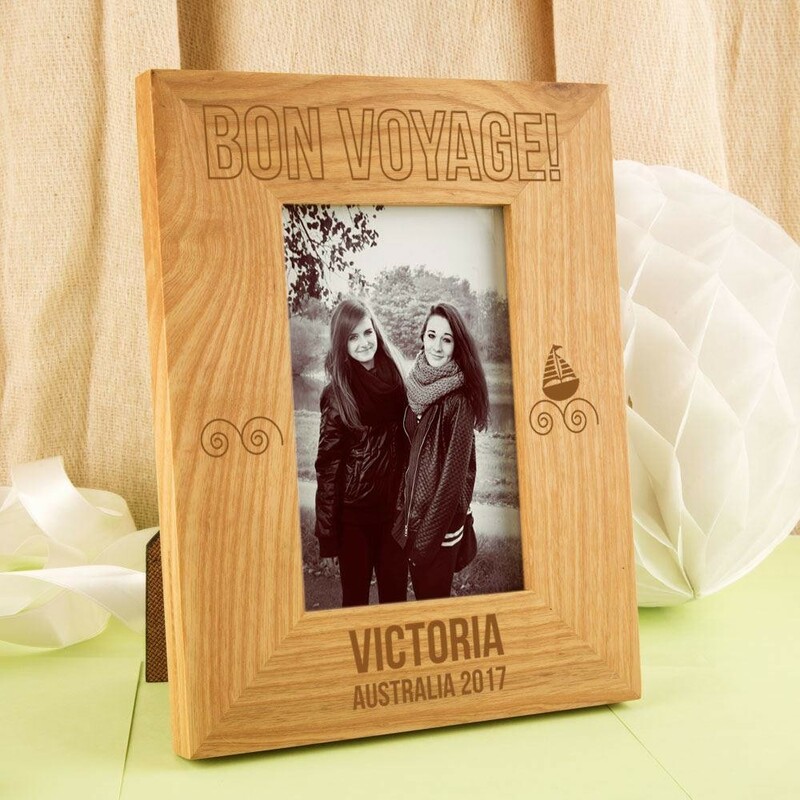 A brilliant keepsake gift for a friend or family member embarking on a new adventure! 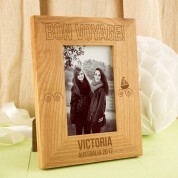 This solid oak frame is laser engraved with “Bon Voyage”. It features the recipient's name in bold writing. There is even space for a short with love message, making it a gift they can enjoy for years to come. It is made complete with a cute little sail boat, floating along on the waves. 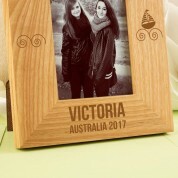 They will remember you whenever they see it, and it is sure to bring a smile to their face wherever it is displayed! 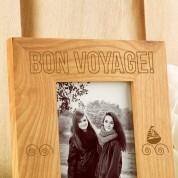 The chunky portrait frame holds a 6 x 4 inch photo. Every frame is unique because of the natural grain of the wood. The laser darkens the wood providing definition that would otherwise be lacking with standard engraving. Weight - approx 470 grams. Measures approx 23cm x 18cm x 2cm.